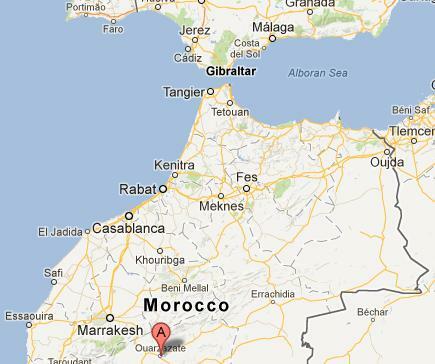 Unlike most of its North African neighbours Morocco has negligible gas and oil reserves to exploit. It does however have a near perfect geographical location and climate for solar power. This month work started on the first of a series of huge solar power plant construction projects which by 2020 will have a generation capacity of 500 Megawatts and cover 3000 hectares. Located by the desert city of Ouarzazate 200km drive from Marrakesh, this concentrated solar power (CSP) plant will eventually meet the electricity needs of the city’s 1.5 million residents. Phase one is a 160 MW solar power plant to be built by a consortium led by Saudi company ACWA Power. The contract for the second phase will be awarded later this year which will raise total capacity up to the targetted 500 MW. Morocco are planning to construct five such solar power plants over the next 10 years giving it a generation capacity of 2000 MW at a cost of around US$9 billion. Funding will come from The World Bank, the African Development Bank and the European Investment Bank. Morocco are aiming to generate over 40% of the country’s total power needs from renewable energy sources by 2020, with additional plans for huge investment in wind farms along their windy Atlantic coastline to mix with the solar to give it renewable electricity generation night and day. If these projects are all completed and others are developed, it is likely that Morocco will look to export clean electricity to their European neighbours, a model likely to be repeated across North Africa and something we looked at back in 2008 in our article Solar Power for Europe from the Sahara. The installation of smart meters into all 30 million UK homes have been delayed by more than a year with the first meters unlikely to be installed until Autumn 2015, and all 30 million meters until 2020. The delays to the £11-12 billion project has been caused by industry needing more time for designing, building, and testing the systems which will enable the energy companies to communicate with the gas and electricity meters – for example to get daily accurate meter readings for all of their customers. The huge costs of the project should be more than offset in the savings from not needing to employ people to read meters, and deal with customer complaints relating to estimated bills. 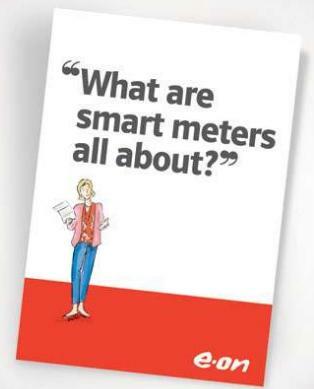 Smart meters should help consumers understand their power usage and therefore take steps to reduce it. In our article Are Prices of Solar Panels Going to Fall or Rise we looked at how Chinese-made PV solar panels have been flooding the European market driving prices down. Over the last few years, Chinese manufacturers have snapped up 80% of the $30bn+ annual European market for solar products. The European Commission, interested in protecting German and other struggling European solar panel manufacturers, has been looking into this and are considering levying punitive tariffs on solar panel imports from China to stop Chinese manufacturers dumping their government subsidised panels in the European market at unfair prices. Chinese made PV panels are currently almost half the price of European made panels and so the import duty is likely to be set at from 40-50% bringing Chinese and European panel prices in line with each other, and therefore increasing the price of solar products to the consumer considerably. Provisional levies could come into force on 6th June 2013 before negotiations with Beijing on a long term levy structure. The USA put import duties on Chinese solar energy products back in 2012 to protect their market from oversupply. Eurostat, the statistical office of the EU, has released its figures for renewable energy use across the EU27 – the 27 EU states – for the calendar year 2011. Of all energy use across the EU27, 13% came from renewable sources compared to just 7.9% in 2004 and 12.1% in 2010, well on its way to a target of 20% in 2020. Looking at the countries individually, the top renewable energy users were Sweden (46.8%), Latvia (33.1%), Finland (31.8%) and Austria (30.9%), and the lowest were the tiny states of Malta (0.4%), Luxembourg (2.9%), followed by the United Kingdom (3.8%), Belgium (4.1%). Between 2004 and 2011, the countries with the biggest gains in renewables usage were Sweden (38.3% to 46.8%), Denmark (14.9% to 23.1%), Austria (22.8% to 30.9%), and Germany (from 4.8% to 12.3%); while the UK went from 1.1% to 3.8% in the same time period. The EU target for the UK is 15% by 2020. Click here for full details in the Eurostat 26th April 2013 press release: Share of Renewable Energy up to 13% of Energy Consumption in the EU27 in 2011. The journal Science had details today of research into a special coating for photovoltaic solar cells which could potentially increase the percentage of solar energy which is converted into electricity by 6%. Solar panels do not convert all wavelengths of light into electricity – photons of light from the blue (higher energy) end of the spectrum are converted into heat if they are not reflected from the solar panel which a) means that that solar energy is wasted, and b) means that the solar panel gets hotter, which as our article (Effect of Temperature on Solar Panels) showed, reduces efficiency. Since the 1960’s it has been known that a material called pantacene (an organic semiconductor pictured above) has an interesting property. When a photon of light from the blue end of the spectrum hits pantacene, TWO electrons are generated. When a photon of light from the red end of the spectrum hits a normal solar cell, ONE electron is generated. Therefore by making a solar cell with a coating of pantacene, light from the whole visible spectrum can be exploited and the efficiency of the hybrid solar cell will be higher than the simple silicon solar panels currently available. This is still very much in the prototype phase with many years of research still to come before it could become commercial. Pantacene though abundant, carbon-based, and organic, is currently expensive and technology has to be developed to enable the economical manufacture of hybrid solar panels. Ethanol from crop waste, corn, and sugar beet etc is currently added in small percentages to petrol to reduce fossil fuel use. It has lower energy density than petrol (lower mileage), is corrosive to engines (cannot be used in high concentrations), and it absorbs water from the atmosphere which can cause engine problems. Butanol is a heavier alcohol without any of these problems, but is more expensive to process (ferment and distill) from crops than ethanol. New research has led to new families of catalysts which will enable existing ethanol plants to output butanol by adding one reactive conversion step at the end of their processing. This brings us one step closer to butanol (renewable fuel biobutanol) being commercially viable as the biofuel of the future to replace petrol. 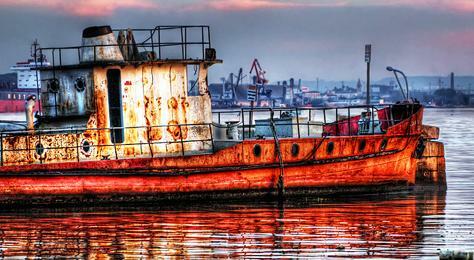 Take a look here at our new article Butanol vs Ethanol Fuel of the Future for more information. The national grid operator in Portugal (Redes Energéticas Nacionais – REN) has announced that in the first quarter of 2013 70% of all power consumed was generated from renewables – a new record. Surprisingly despite its sunny reputation and Southern European location, Portugal does not generate much electricity from solar PV – in fact just 0.7% of electricity generated in 2012 came from solar PV. 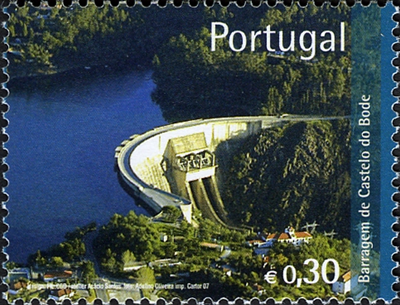 A huge 37% of Q1 2013 electricity generated in Portugal came from hydroelectric power – including from hydropower plants at Alqueva Dam (Europe’s largest dam) and Castelo de Bode Dam pictured above. A further 27% of the power generated came from wind turbines, located primarily in the windy north east of Portugal. Favourable weather conditions made a big contribution to this record, with hydro power generation up over 300% compared to the same period last year, and a 60% increase in wind power generation. Portugal still have virtually no offshore wind turbines despite having a long windy stretch of Atlantic coastline to exploit, and very little solar PV despite being sun scorched. Therefore, with continued investment there is a great chance of seeing 100% of consumption being met by renewables soon in Portugal. Back in 2007 we announced that Spectrolab (a subsidiary of plane-maker Boeing) has set a new world record for solar cell efficiency at 40% with a multi junction solar cell with concentrated sunlight (with lenses or mirrors). That record was subsequently broken, but is still around 41%. Now Spectrolab have announced that they have broken the world record for solar cell efficiency without solar concentration achieving 37.8% efficiency, and they believe that the technology they used to achieve this is capable of getting to efficiencies of eventually getting up to 45%. 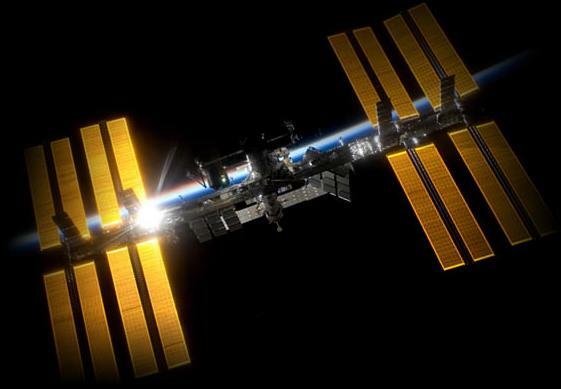 Spectrolab specialise in making high efficiency multi-junction PV solar panels for use in space to provide power to satellites, but their technological advances will eventually work their way down to the consumer market. Increasing the efficiency of solar panels is important, because high efficiency means physically smaller panels which need less materials, cost less to transport, and can be used in more situations.